App concept—that’s all the client brought to the table. The rest we’d have to develop together. From the very first meeting and up to app launch, we kept busy polishing every detail to make everything look and run perfect. Mockups, prototypes, sketches, test prints. Sheets upon sheets of sketching paper, pencil shavings, gallons of coffee. The logo couldn’t have been frivolous in any way. On the contrary, it was supposed to emphasize the official character of the app and even ennoble it somewhat. In the end, we went with a sail bearing the colors of the Polish flag—a subtle reference to the seaborne voyages of the mythical Odysseus. 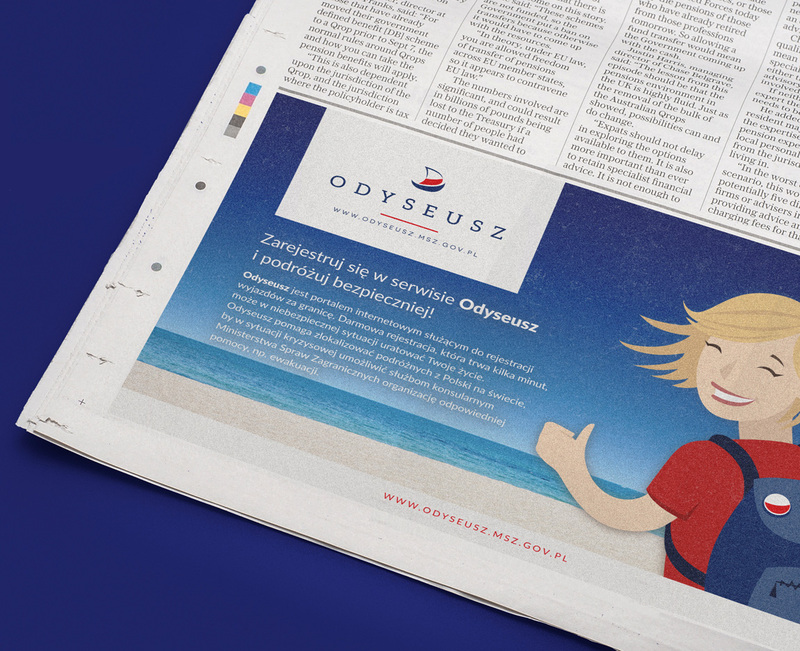 Although Odyszeusz is very serious official website of a state ministry, it deals with a rather ordinary area of human activity—traveling. 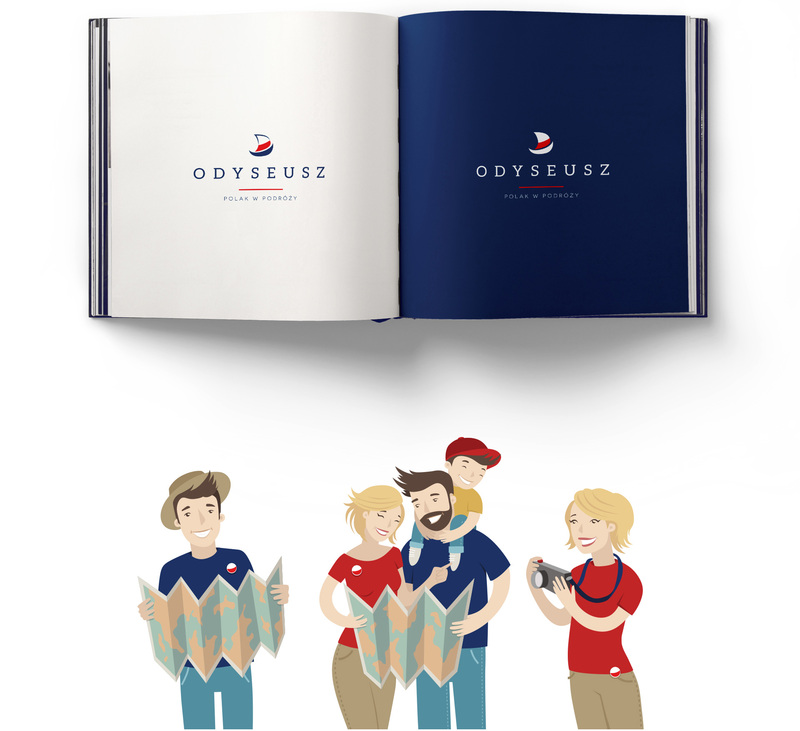 We decided to give the site a warmer, more human feel and designed two characters that would represent the modern traveler and named them Odysseus and Penelope. Over time, they were joined by little Odysseus, Jr.
What’s the one indispensable attribute of a traveller? A passport, of course. And a good passport dust cover will provide the essential document with protection against the elements and other dangerous situations. 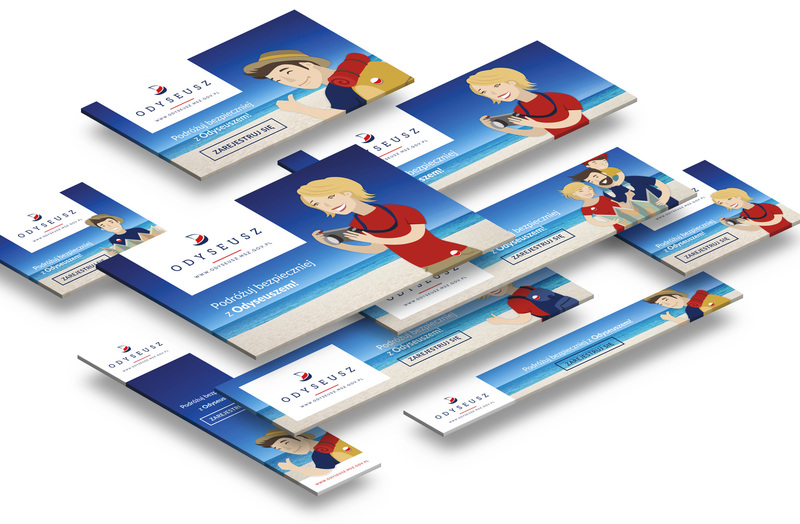 The Odysseus-adorned cover also includes also includes some basic guidelines on security and safety abroad. Website launch was accompanied by a wide-ranging promotional effort in the press, with adverts for the portal appearing in newspapers and magazines, including Gazeta Wyborcza, Rzeczpospolita, National Geographic, Podróże, and Kalejdoskop. As part of our promotional efforts, we also developed ad banners featured on a number of popular online portals, including Gazeta.pl, MlecznePodróze, Fly4Free, and visuals for sponsored content published on Podróże.pl, MlecznePodróże, and Fly4Free. We also designed the visuals that would accompany promotional efforts on Facebook, Twitter, and the Ministry’s website.